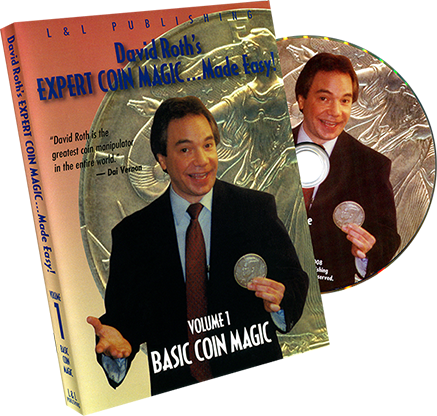 Today, when you order "David Roth Basic Coin Magic", you'll instantly be emailed a Penguin Magic gift certificate. You can spend it on anything you like at Penguin, just like cash. Just complete your order as normal, and within seconds you'll get an email with your gift certificate. 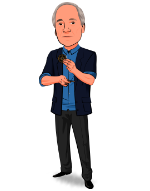 David Roth is the greatest coin manipulator in the entire world! Here is everything you need to know to get started on the wonderful road of coin magic! 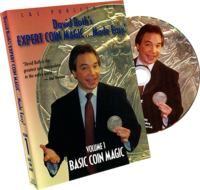 Volume 1 gives you a solid working knowledge of the basics of sleight of hand with coins and David teaches you some of the greatest classics of coin magic ever created! You'll be performing expert coin magic in no time! Roth provides a careful demonstration of his techniques, with plenty of repetition.